Our 3rd Night of the Museums is focused on the history of sports in our little village in the second half of the past century until present time. There are 5 different sport clubs in Betina that we chose to present to visitors through our exhibition and a couple of presentations. 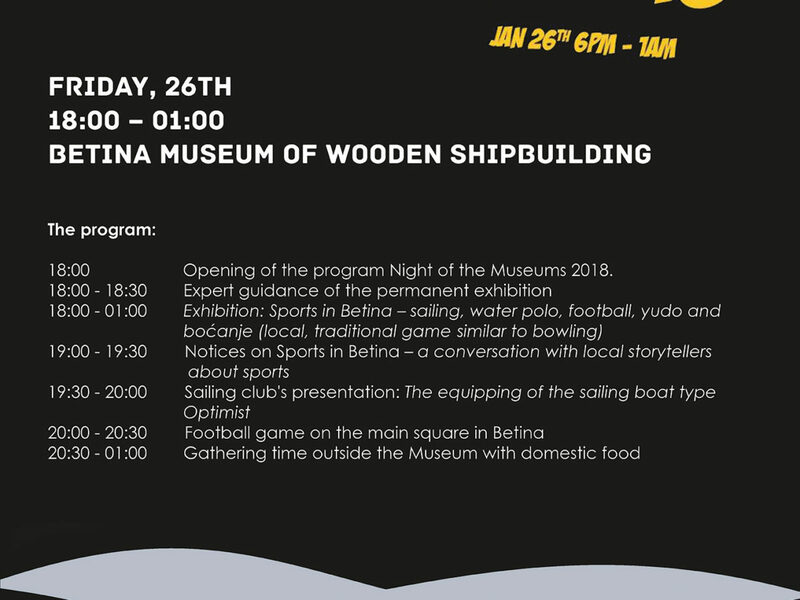 There is lot to discover about Betina water polo which is probably the most popular and recognizable sport activity in Betina, as well as sailing, but there is also a period of time during early 80’s when kids from the island practised yudo (!). Islanders also love boćanje which is a local, traditional game similar to bowling and of course, the inevitable football. Find out more and visit our Museum on the Night of the Museums on January the 26th!